So one thing you guys might not know about me is that in college I subsisted on Kiwi Strawberry Snapple and Tori Amos. While I don't particularly care for the Snapple anymore, I still have a love for Tori Amos! 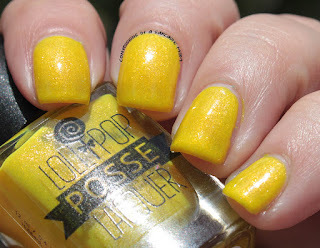 So when Lollipop Posse Lacquer put out a collection of polishes with the names of Tori Amos songs, I got excited! Welcome the Dancing Girl collection! And I've got 2 polishes from this collection to show you - Somebody Leave The Light On and Comatose State. 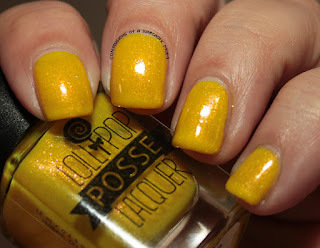 Somebody Leave The Light On is a bright (kind of Big Bird-esque) yellow with some holo and coppery shimmer. I used two medium coats for this polish, and it went on smoothly. 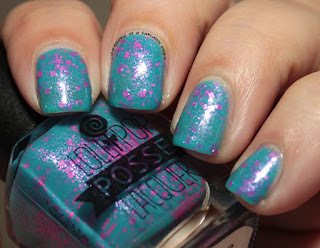 Comatose State is a bright blue crelly with pink square and hex glitters. The formula is good for a crelly. I used 3 very thin coats, and the coverage was great! 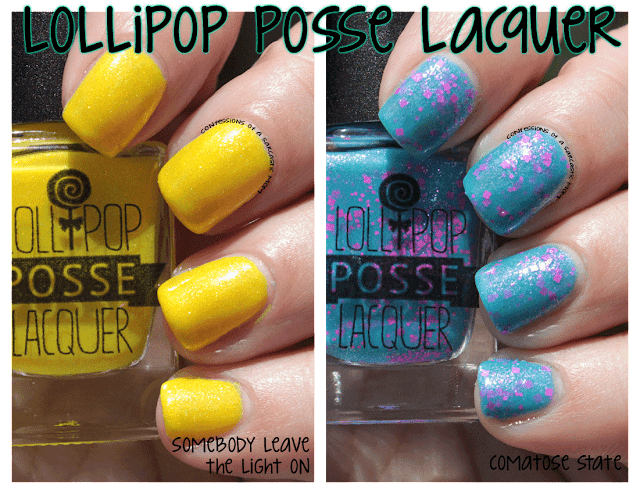 These polishes will launch May 23 at the Lollipop Posse Shop. 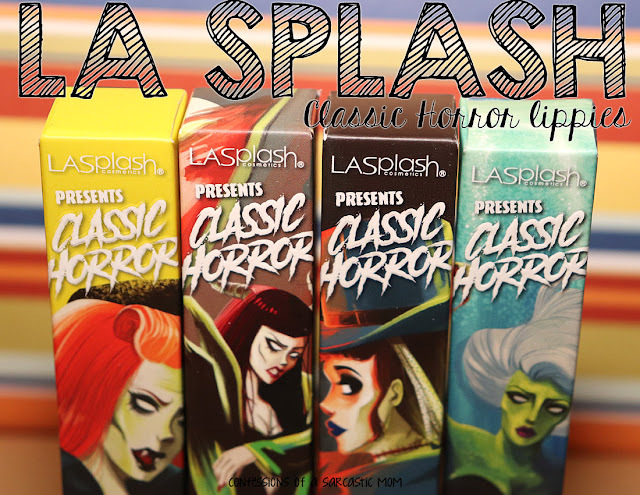 Price per bottle is $9.50, but the whole Dancing Girl collection (a set of 8 polishes) is being sold in a bundle for $70.